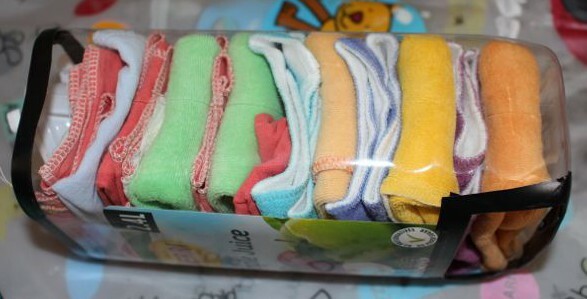 We have used cloth nappies and cloth wipes with all of our children. We keep a shelf of cloth wipes above the change table for nappy changes, and we also keep a pile in the bathroom. I normally sit them on the edge of the bath, but now Baby T is so mobile, he keeps toddling into the bathroom and knocking the wipes into the bathtub. 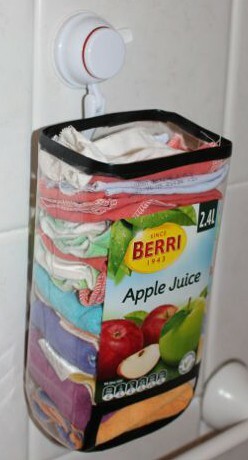 I really needed something to keep them out of his reach, so I had a go at making my own cloth wipes dispenser out of a juice bottle. Juice bottle washed and ready for cutting. I washed the bottle and let it dry completely before cutting off the top of the bottle. 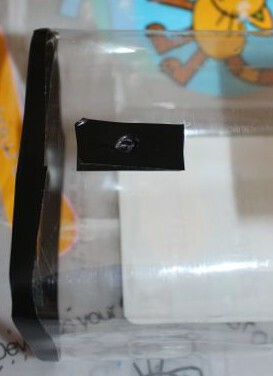 I used the sharp point of a knife to pierce the plastic, and then used the scissors to cut where I needed to. 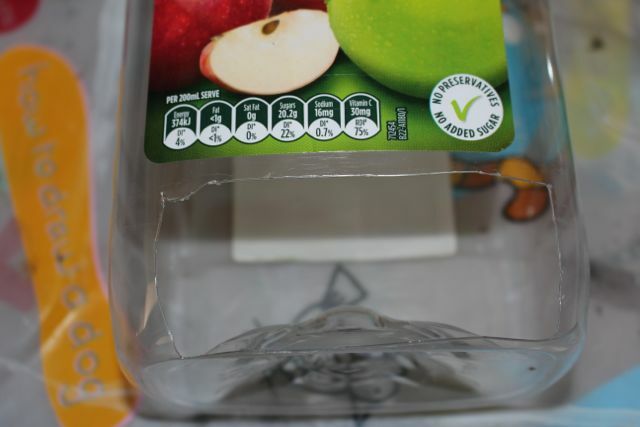 I also cut a slot out near the base of the bottle where the wipes could be pulled out of. The slot at the base of the dispenser. They edges of the cut plastic were a bit sharp, so I covered them with electrical tape to prevent us from getting cut when removing the wipes or re-filling the dispenser. 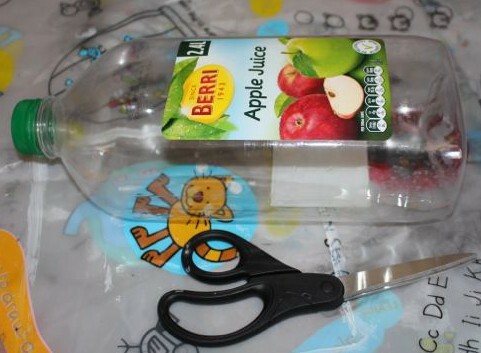 The kids helped me place the tape on the bottle. The edges smoothed under electrical tape. To hang the dispenser up, I used a big suction cup hook suitable for bathroom usage. I made a hole big enough for the hook in the back of the bottle, and then used some electrical tape to smooth the edges of the hole. I placed the hook through the hole and then it was ready to hang up. 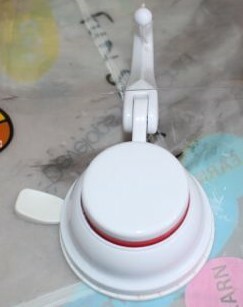 I find that the suction cup hooks tend to un-suction themselves fairly regularly no matter how clean and dry the surfaces are when placing the suction cup. It’s a bit annoying, but I didn’t have any other hooks to use, so this will do until I can replace it with something more permanent. Every time I go into the the bathroom I push the suction cup back down to help it suctioned. Now our cloth wipes are out of Baby T’s reach, and the kids can still reach them from the toilet, it nice and easy to access the wipes, and I no longer have to pick them up out of them tub everyday. Having a cloth wipes dispenser in the bathroom has been very handy. Full of cloth wipes ready for hanging.